What is it the Reorienting birth about? Birth is a beautiful and complicated time that can make a deep imprint in a person and his or her development that influences daily life. In this training, you will learn about the different kinds of imprints and in what stage of birth that kind of imprint would be most visible. We see imprint as a behaviour, emotional and a thought pattern that a person has and experiences as if he or she has no control over. Some imprints are constructive and some are not constructive. In this training, we will focus on both, how it should be and what happens when things go wrong in different birth stages and how to change it. When I’m in high stress, I work a lot, but then I get a flue, cannot do more and I end up with not completing the task. Negative imprint has to do with different birth stages. In these 2 modules you will learn what part of birth it is connected to and how to change it. Soft Birth – first stage labour; the stage of expansion. Transition Stage – transition between first-stage labour pains and second labours pains, which moves the uterus in different ways. The First Days After – just after the delivery and days after birth. The teacher will make demontrations of every stage and the students will practice on each other, supervised by the teachers. As well there will be time to exchange the experience and get more insight about the practicalities in reorienting birth (or parts of it). And last but not least, in this training you will get information about how to work with pregnant clients and about pregnancy. In order to complete the training, you will have to do rebirth in groups of at least of 5 people, before the last module in November. It will require for you to meet at least one whole day to do this. Each member has to complete full redoing of the birth and when necessary get supervision through Skye by Lisbeth Marcher on specific time, agreed between the group participants and Lisbeth Marcher. (there are no extra costs added for it). The goal of this training that after completing it you are able to work around the issue of redoing birth with your clients or redoing some parts of the birth. You will to recognise what patterns of imprint, behaviour and thought are connected to different stages of birth. It is for Bodynamic therapists and professional psychotherapist. Physical therapist that work with psychosomatic issues, psychiatrists or psychologist, also having practice in working with clients. for Module 2: 495,- eur before 15 of October 2019. 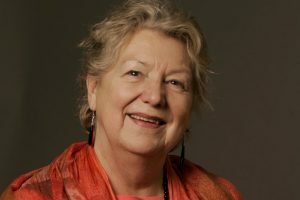 Lisbeth Macher worked extensively for the last 40 years, she is the founder of Bodynamic, a world known psychotherapy approach, where Lisbeth combined the motoric development with the psychological, as well as adding various skills that we use and need. She is the founder of the Bodynamic System and of Bodynamic International in collaboration with various colleagues, is the former director of the Bodynamic System, while now she is the international supervisor for all educational issues. Lisbeth Marcher is the former president of EABP. Lisbeth Marcher has presented her work and taught in many countries and at many conferences, since the 1970′s. One of her main contributions to the Bodynamic System is the recognition of the hyporesponsive reaction in peoples’ way of being, and how this behavior is represented in the muscles in the body as hyporesponsive muscles in opposition to the normally accepted armour reaction – hyperresponsive muscles. She developed this recognition into a Bodymap and a Characterstructure system, that could be taught to people.During the late 1980′s she was part of developing the Bodynamic approach to resolving shock-trauma – and developing new resources – which is now a separate training from the Foundation (20-24 days) and the Practitioner training. She work as supervisor in the Primary Healthcare System and has years of meditative practice.